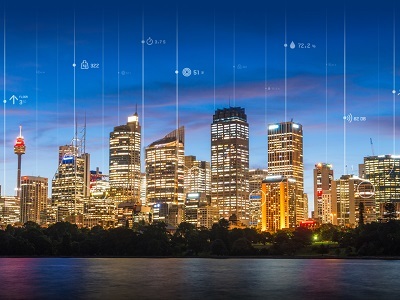 KONE Elevators announces the launch of an intelligent predictive maintenance offering for their customers in Australia and New Zealand that aims to improve equipment performance and reliability across their installations. KONE’s 24/7 Connected Services will ensure their customers experience less equipment downtime, fewer faults and greater transparency around maintenance work. For people using elevators and escalators, it means less waiting time, fewer unexpected stoppages, and a more efficient elevator ride in their home or office. Offered as part of the new KONE Care maintenance, 24/7 Connected Services utilises the IBM Watson IoT platform and other advanced technologies to bring intelligent services to elevators and escalators. The KONE system will monitor, analyse and display in real-time, vast amounts of data from elevator sensors, improving equipment performance, reliability and safety. "With new technologies and connectivity, we are able to even better meet our customers' changing needs and expectations on speed, transparency and predictability. With this service, we are well on our way to creating a truly intelligent elevator and escalator service platform, which will help our customers to add value to building users in totally new ways," said Jim Hastings, Director Maintenance, KONE ANZ. Data is collected from each elevator or escalator using sensors and stored in the cloud for monitoring and analysis. Artificial intelligence is applied to identify patterns that may indicate potential faults or sub-optimal performance, enabling KONE to send out support to carry out preventative maintenance prior to a fault or stoppage. With KONE Care, the company is bringing new levels of flexibility to elevator maintenance, through its fully customisable portfolio of services and advanced tools designed to meet the individual needs of different customers such as building owners and facility managers. KONE's customers also use the maintenance offering to request and customise services to match the specific requirements of their business, tenants, or building type, instead of predesigned service packages. The intelligent maintenance service offering is the latest development in the KONE-IBM partnership, which began in 2016. According to the multiyear agreement between the two companies, IBM will provide cloud-based Internet of Things (IoT) technologies and services to drive innovation in the elevator and escalator industry. KONE aims to connect over one million additional elevators and escalators to the cloud over the next few years.